Bloedbessen aren't just red currants. They are a product of exceptional quality, the result of months of care and close connection with nature. 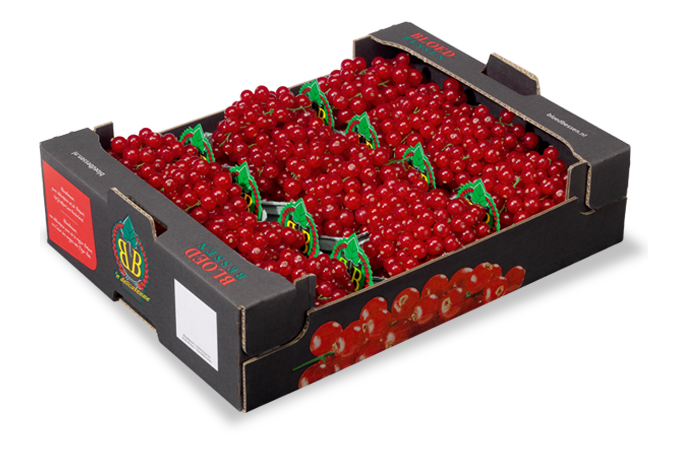 Our Bloedbessen are known for their extraordinary quality. They are the result of a very carefully thought-out production process. From growing and harvesting to cooling and packing: we take care of the whole process ourselves. Only in this way can we surpass the high expectations of our customers, time and again. Bloedbessen has a rich history. 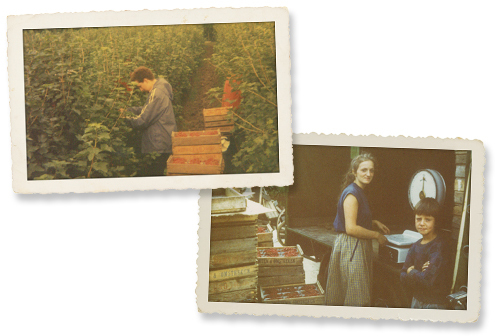 Back in 1974, Mr Bloed Sr started cultivating various types of fruit and vegetables in Asch, in the Betuwe region. However, it wasn’t long before he realised that red currants were closest to his heart. He decided to specialise, and that was the birth of Bloedbessen. Mr Bloed laid the groundwork for a great family company that to this day still focuses completely on the cultivation, cooling, sorting and packing of red currants. The result is the very best red currants! The world’s best red currants deserve packaging that’s just as good as they are. That’s why we present our Bloedbessen in specially developed packaging that shows in every detail that they contain products of extraordinary quality. Naturally, we’ve also thought of the environment: all of our packaging is made from recycled cardboard and is produced on energy-efficient machinery. Furthermore, our packaging satisfies the highest requirements for food safety and hygiene. Thanks to our sophisticated production process, Bloedbessen are available nearly all year round. This means you can enjoy our delicacy for almost the whole year. The first fresh Bloedbessen are available in May. 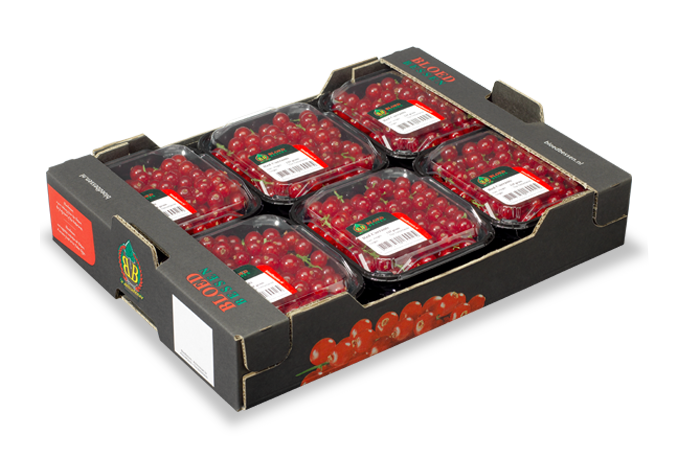 From the end of July to the following spring, our late variety is available in long strings of beautiful, fresh berries. It’s no coincidence that Bloedbessen are a fresh delicacy. That’s the result of months of care and love for the product. 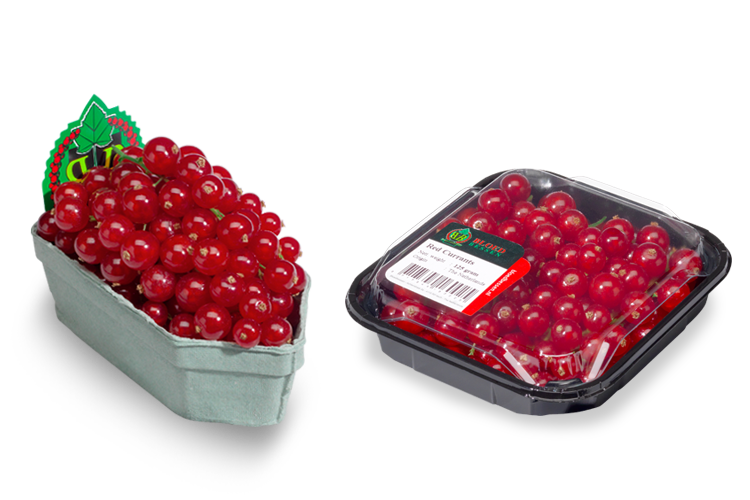 Our cultivation specialists work closely with nature in order to provide you with the very best red currants. It goes without saying that we are GlobalGAP and GRASP-certified and we satisfy all of the strict requirements pertaining to food safety, sustainability and quality. In addition, we maintain a transparent work method, remain open for each other and deal with our partners in a respectful manner. Because that’s also what Bloedbessen is about. As well as cultivating the world’s best red currants, we also have our eye on another goal: to have a positive influence on our surroundings. For this reason, we take good care of our people, the community and the environment. We have a great deal of respect for nature and we put a lot of effort into making sure that future generations can enjoy it too. For example, we have a very focused and deliberate crop protection method in which we take preventive measures and make use of biological control techniques.